*This is a work in progress and photos will be updated regularly. The sky color photographs differently in every room of our house...it's a bit of a chameleon. 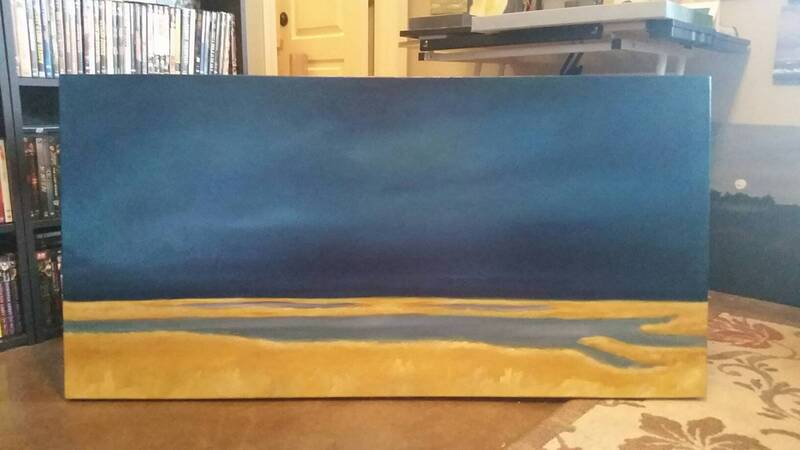 The sky colors are Prussian blue, titanium white, Paynes grey, and yellow ochre. The ground color is raw sienna, yellow ocre, titanium white, and Prussian blue. The more vivid blue is with the painting facing natural light, while the more subdued tone is the painting in a room with overhead lighting only. 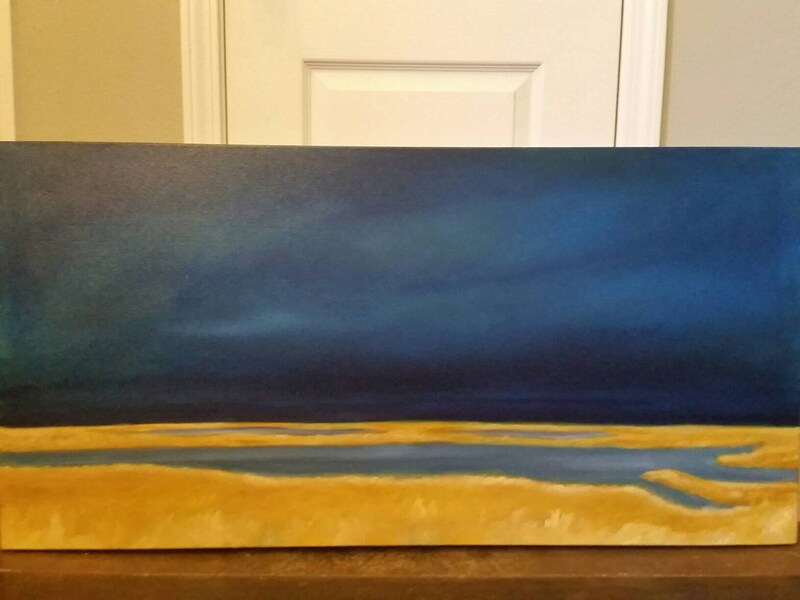 Due to size, this painting ships free within the United States, via Fed Ex or UPS.